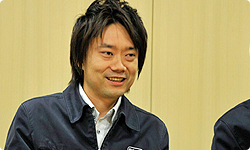 You’ve just spoken about how you wanted to avoid including the same sports as Wii Sports as much as possible. But there are some sports that are the same, aren't there? Why did you decide to include the same sports? In Wii Sports, there was a bowling game where you could knock down 100 pins. 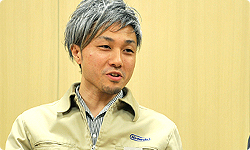 It was included in the training mode, and I remember that you were only able to bowl the ball once in the final stage. It’s 3000 points! (laughs) That’s the highest possible score in the 100-pin match. This game is really going to get players excited. The sense of unity the player has with the on-screen action has also been greatly increased. In the previous title, if you press the B Button when you are holding the ball, the Mii will walk automatically with the player aiming to match the Mii's movement to bowl the ball. But this time round, even if the player presses the B Button, the Mii won’t move until the player does. That’s because it can detect the movements of the player holding the ball. That's right. So when you hold the ball up, the Mii will also hold the ball up and will release it when you release it. So that’s how the sense of unity has been increased. We also wanted to make the controls simpler this time round so we designed it so that you could play simply by swinging the Wii Remote with the B Button held down. Due to things like this, I think that anyone who has played the original bowling will find that there are major differences when they play this one. I think that’s also the case for golf. In golf this time round, someone was saying that, once they get used to it, good players wouldn’t need to take a practice swing. What do you mean by not needing to take a practice swing? It was something a member of the team said. They said that even without taking a practice swing, once you get a feel for it, you'll be able to strike the ball first time and hit it more or less to where you want. It’s undoubtedly been made more faithful to the real thing. The element of uncertainty has been reduced. Basically, ever since the very first golf game on the NES, golf has always been a game where you have to stare at the shot meter. Making a practice shot meant taking a swing and watching the shot meter. But with this title, you don’t have to stare at a shot meter and can enjoy the feeling of working on your own swing. In other words, you are now able to enjoy a sensation that is close to the real thing. 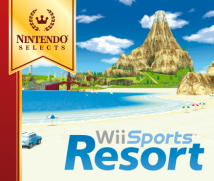 By the way, why did you decide to include golf in Wii Sports Resort? That’s right. I block off the escape route. I’m not quite as bad as Miyamoto-san, but I have been known to use the same trick on occasion. You determined everything simply via the speed at which Wii Remote was swung. the degree of back swing could determine how hard the ball is hit , I really wanted to realise that. It also grew to 18 holes. It was at the end of 2008. But that was the period when you needed to be finishing things up. Yes, the original plan was to release it for Christmas. But it was right around that time when we heard that some flexibility might be possible regarding the schedule. 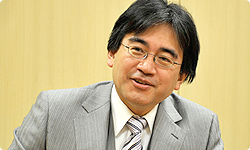 Read the previous Iwata Asks interview and all will become clear! (laughs) The scheduled release date was set back as the Wii MotionPlus hardware team continued their gruelling battle with the gyro sensor, experimenting by making the connector into a floating structure, attaching steel hooks and boiling it in a pressure cooker. We had originally planned to make a 9 hole course in order to have it ready for a Christmas release, but when we were given more time, we somehow managed to turn it into an 18 hole course, which the team ended up feeling really positive about. To people who play golf, an 18 hole course that is a par-72 is expected. That's why they felt that the score they'll get after going round the course is incredibly realistic. So it seems that the extension to the development period of Wii MotionPlus yielded an unexpected by-product. 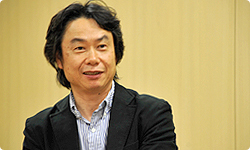 While we’re on the subject, Miyamoto-san, what sort of things were you thinking about when you learned that there was now more time before the title was released? Yes, that’s true. Anyway, I remember going to see the sales planners, who said: "Let's wait a while." That came as a great relief, and under normal circumstances I would have just gone straight back to my desk. But this time you didn’t just go back to your desk. I really did shout! (laughs) Well, I thought that the extra time we had courtesy of the delay in the Wii MotionPlus development really was a lucky break. I feel that being able to adapt well to changes in both environment and situation is extremely important in video game development.